You know that craving. 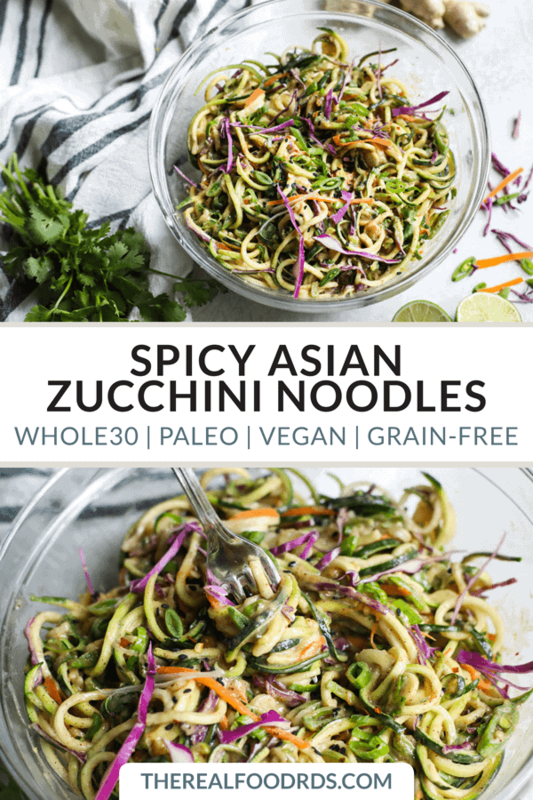 The one for something creamy and noodle-y that you can twirl around a fork and shove into your hangry face when you’re eyeballs deep into a Whole30. 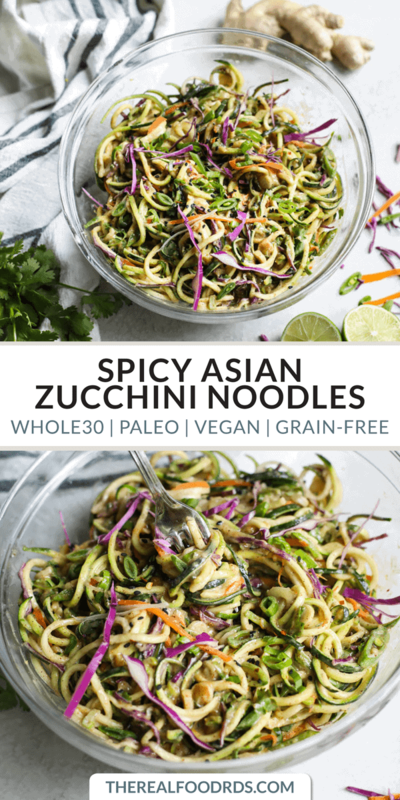 When all you want is spicy peanut sauce-covered noodles but you’re a) on a Whole30 and no peanuts or noodles there, and b) you don’t feel like cooking. Been there. 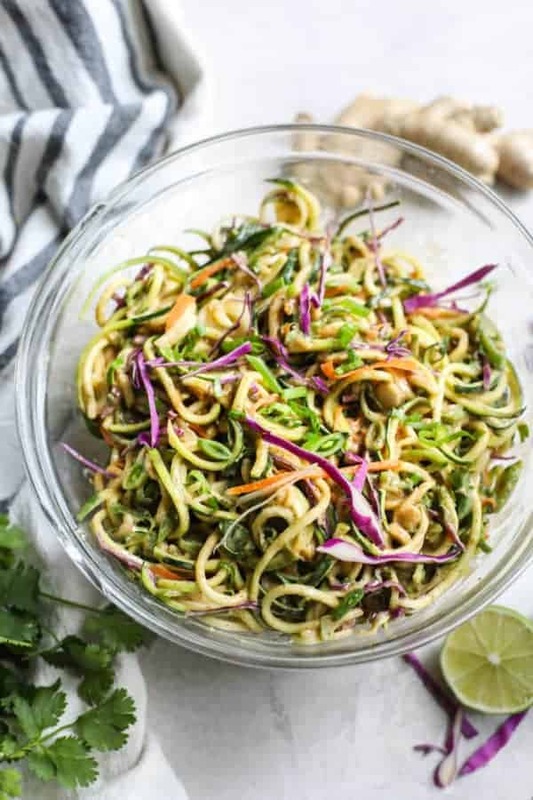 That’s why this Spicy Zucchini Noodle dish with its creamy almond butter sauce is just what you need to crush that take out craving. Even if you’re not Whole30-ing. 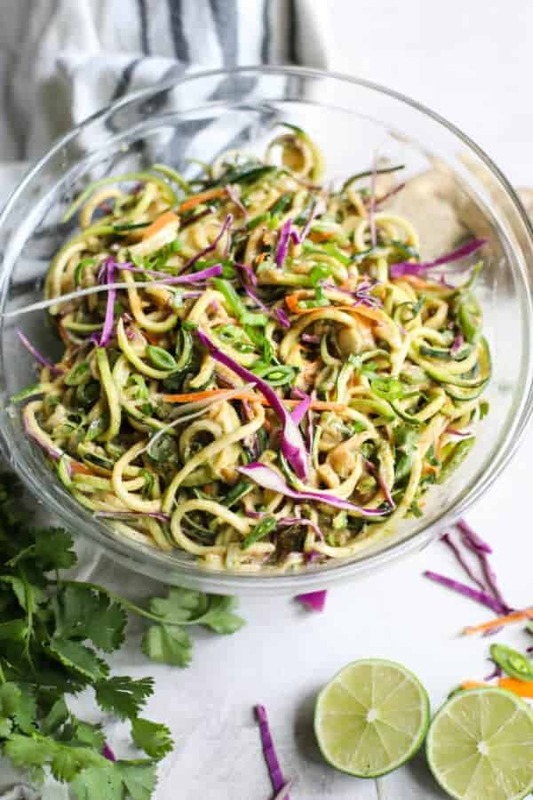 I use the Inspiralizer vegetable spiralizer to cut the zucchini into long noodles or ‘zoodles’. It’s by far the BEST spiral cutter I’ve tried (and I’ve owned several if that means anything). It’s easy to use, has a variety of noodle shapes/thicknesses and it’s easy to clean. Warning: Depending on how big your zucchini is, these can get really long so if you’re planning to dine with anyone other than your dog, you may want to cut them into smaller lengths – lest you experience that terribly awkward noodle slurping, face spattered with sauce moment. Though this is a recipe, there are no hard and fast rules as to what you can add for vegetables. 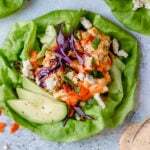 I used shredded red cabbage, snow peas, green onion, and carrot – but you can easily substitute packaged broccoli slaw, sliced red pepper, broccoli florets or any other raw vegetable you’ve got knocking around in the crisper. Don’t make it complicated – just choose a mix of colors and you’re on your way to a rock star meal in just 15 minutes. Pour that creamy almond butter sauce over the top of your big ol’ pile of vegetable loveliness and give it a good toss. Don’t worry if the sauce seems really thick – by the time you fetch a serving bowl, cut a few lime wedges and pick up your fork the zucchini will have started to give off a little moisture and you’ll be good to go. 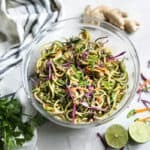 But if a warm bowl of creamy noodles with a kick is what your heart desires then by all means – lightly sauté the zucchini, carrot, cabbage, snow peas and green onions in large skillet with a tablespoon of coconut or avocado oil until just crisp-tender. Add the sauce, stir and cover. Reduce heat to medium-low and allow everything to warm through. Top with your protein of choice – leftover chicken or fish or even rotisserie chicken works great. Sprinkle with cilantro and eat. 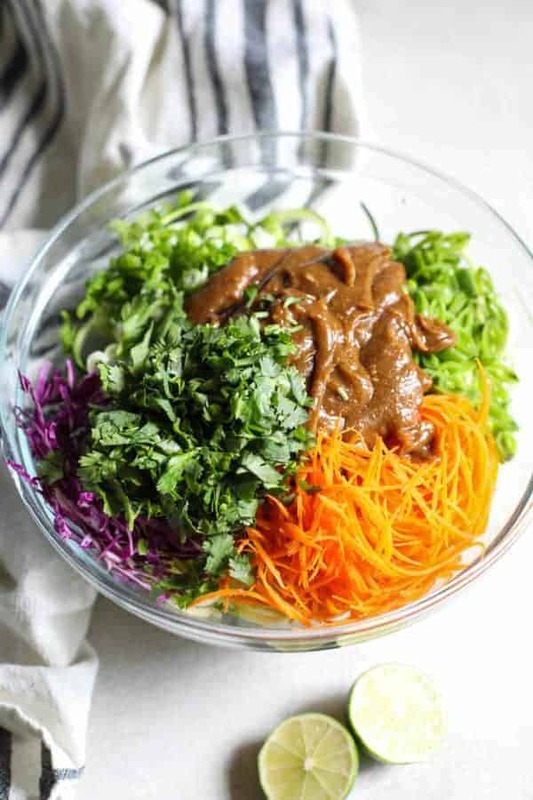 This chilled ‘noodle’ salad packed with crunchy veggies features a creamy almond butter dressing with a spicy kick. 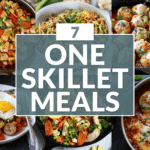 Serves 6 as a side dish or 4 as an entree with your protein of choice. 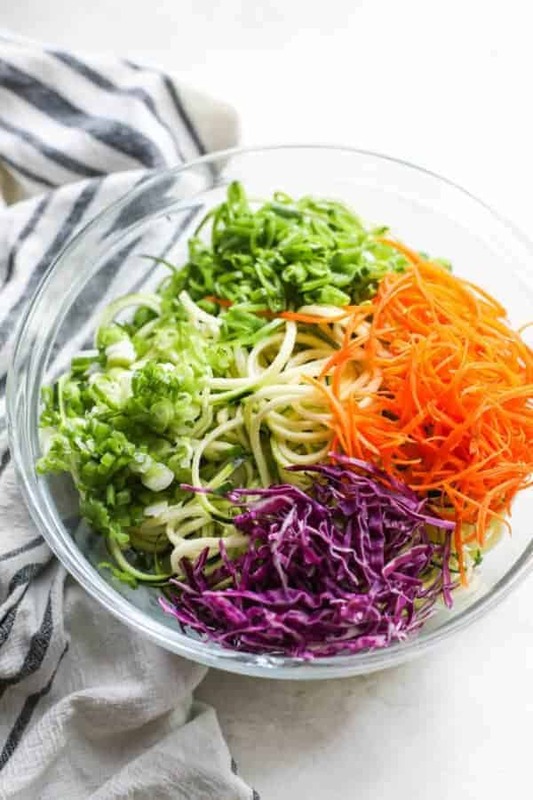 Cut zucchini and carrots into spirals or ‘noodles’ using a spiral vegetable cutter or handheld vegetable peeler (in which case, you get ‘ribbons’ rather than ‘noodles’) and place in a large bowl. Add red cabbage, snow peas green onions and cilantro. Toss lightly to mix then set aside. In a small bowl, whisk together all of the sauce ingredients. This will be thick but once you add it to the zucchini and the zucchini ‘sweats’ you’ll have the right consistency. Toss sauce with vegetables and garnish with additional cilantro. Serve with lime wedges, if desired. Store leftovers in a covered container in the fridge for up to 2 days. What’s your favorite way to serve vegetable ‘noodles’? Tell us about it in the comments below! 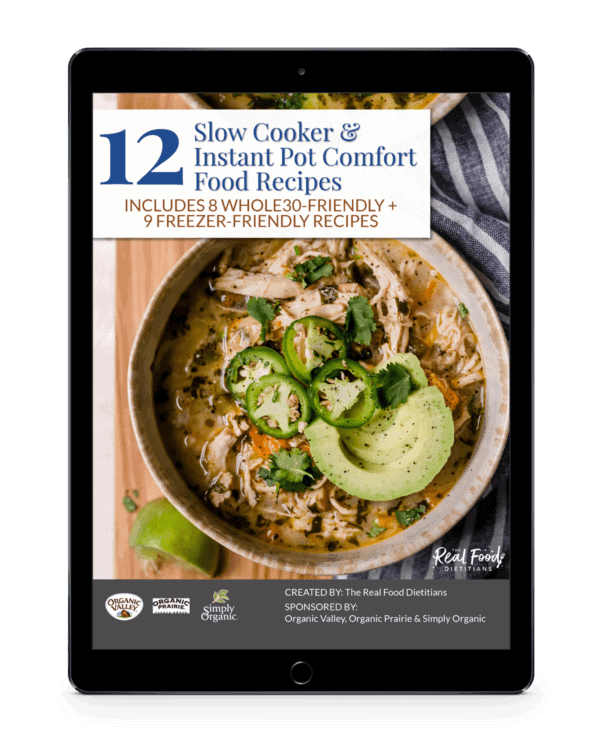 Why won’t the recipes print from an iPad? When I click print I see a blank page. ? None I have tried to print have worked. I’m sorry to hear that you aren’t able to print any of the recipes. I just tested the ‘print’ function on laptop (Chrome and Safari browsers), iPhone and iPad and was able to successfully print from all of these devices so I’m not sure what the issue might be. Perhaps you need to restart the device and check to be sure you have the latest version of iOS installed on your iPad (also, check to be sure you have a strong and reliable wifi connection). Is there nutritional information available for this recipe? Thank you! I wish you had the saturrated fats! Weight Watchers (WW) uses these in calculating points. 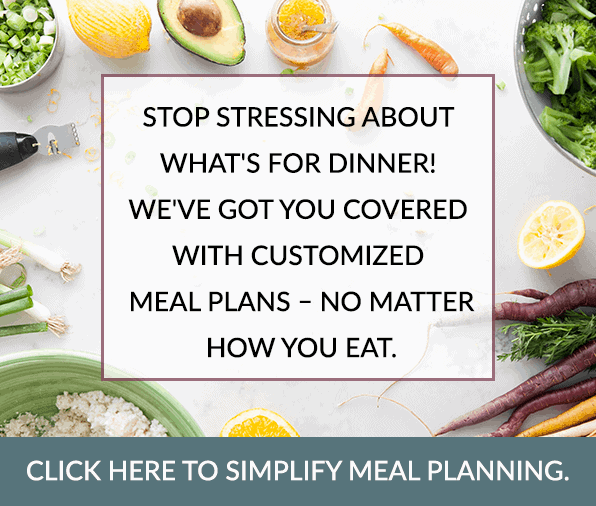 Thanks for pointing that out – it may be something we add to our nutrition information in future website updates but until then we suggest using an online tool like My Fitness Pal to quickly obtain that information. Thanks again. Just wanted to leave a comment to tell you how delicious this dish was! I loved it, definitely making it again. I did not have avocado oil, so I used olive oil. I did not have the coconut amino either so that wasn’t in my sauce. But even without those two, it was great! Thanks for sharing – I’m so glad you loved the dish. It’s one of my faves in the summertime when zucchini is bountiful and it’s too hot to cook (I usually add grilled shrimp or chicken). 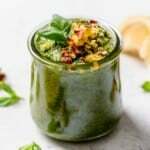 I just made this recipe and it was delicious! I love the versatility. I used mushrooms, carrots, and green onions. I also added mint. So good!! Thanks so much! So easy and delicious! Perfect with some jumbo grilled shrimp. I added snap peas and yellow peppers with the carrots and scallions. Next time I think I’ll add some chopped cashews on top. Adding grilled shrimp to this dish sounds amazing! I loved this. It hit the spot as I am at the point on my Whole 30 journey that I am totally bored with seeing again anything I have made. I used a heavy splash of yuzu hot sauce from Trader Joe’s. 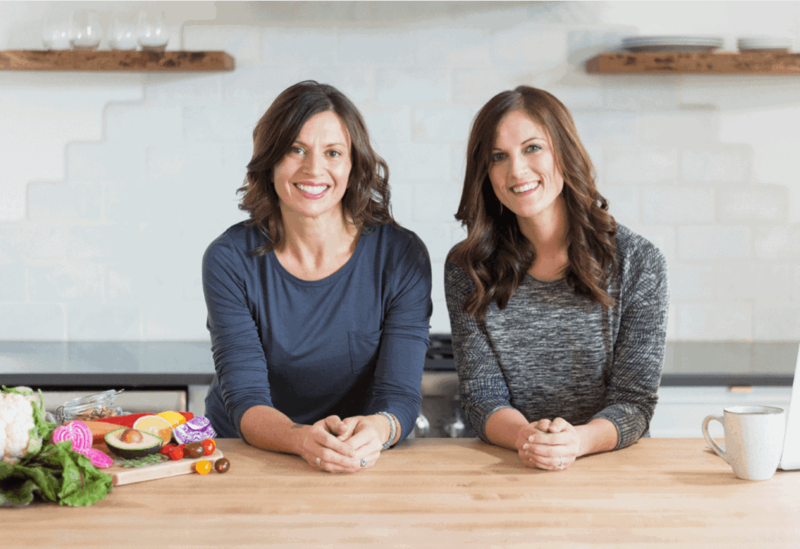 So great to hear and happy Whole30!! This was amazing. I thought I made enough for an army, but between the hubby and kids, I think they licked the bowl. Thank you. Hahaha! I love this. Any time there’s bowl licking happening you know you’ve found a winner! We eat a ton of zoodles, so perhaps I should have known and adjusted up on the number of zucchini. It only fed 2 1/2 of us as a main entree (with grilled chicken as the protein). I chose to sauté the veggie mixture, which helped melt down the sauce, because my Costco almond butter was pretty stiff. The sauce was very heavy and filling, though… I might have preferred peanut butter…not sure if that is on the Whole30 plan or not. Thanks for your feedback! 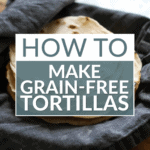 You can make this recipe with peanut butter but it will not be Whole30-compliant. I’d love to make this but I’m allergic to tree nuts. Any ideas for a different sauce? I can eat peanuts. Weird I know. Hey! Go ahead and use peanuts. It won’t be Whole30-friendly but if that’s not a concern then peanuts will be great in this dish. I just made this but cooked everything, and added chicken! Doubled the green onions and red pepper flakes. Tasted amazing! I made this on the stove and it is amazing!!!! Thank you for this recipe!!!! I don’t have a spiralizer. 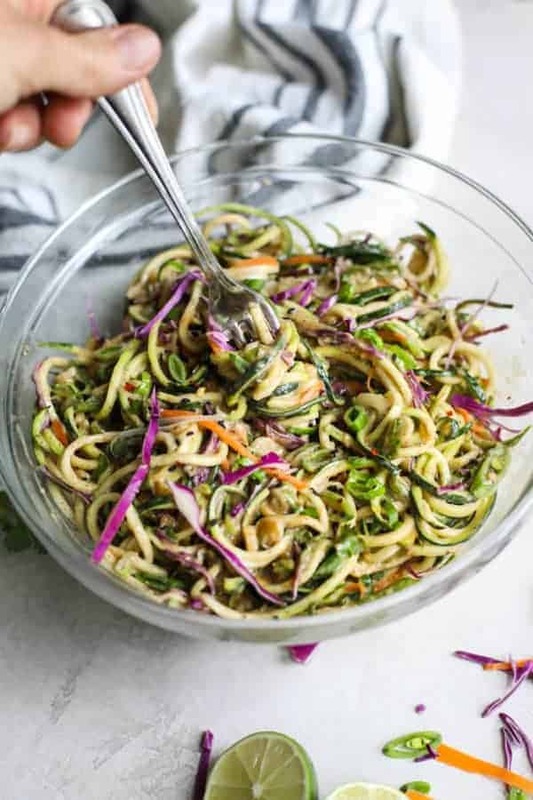 Will pre-packaged zucchini noodles work? And about how many packages/oz are equivalent to two large zucchinis? Thanks! I would guess about 2 packages would suffice. Hope you enjoy this recipe! I made this for lunches for the week and it was SO good- I licked my bowl clean! My co-residents couldn’t believe I was doing Whole30 and eating something so delicious. Thank you so much for the recipe! You are so welcome! 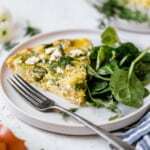 Great to hear this recipe is a winner! Could you provide approx measurements for 2 large zucchini’s and 1 large carrot in cups. I would love to make this but sizes of vegetables vary. According to a Google search, a large zucchini is about 8-10 inches long and 2 – 2.5 inches in diameter. One large carrot would yield about 3/4 cups shredded carrot. this is ridiculously delicious! I substituted the almond butter for peanut butter and added thinly cut sweet peppers, chilli powder (a hint) and Raisins so delish! thanks for the inspo! Thank you! Those substitutions sound delicious. It’s just me! What would be the best way to cut the volume on this recipe? 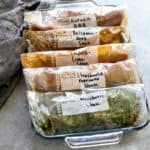 Would raw leftovers stay good a few days or best to eat raw then cook for the leftovers? It sounds yummy I sure wanna try but typically can only do same food 3X in a row before I’m burned out. Thank you. You could simply cut this recipe in half so that you don’t have as many leftovers.